Image 18" x 24" with a 1" white border. 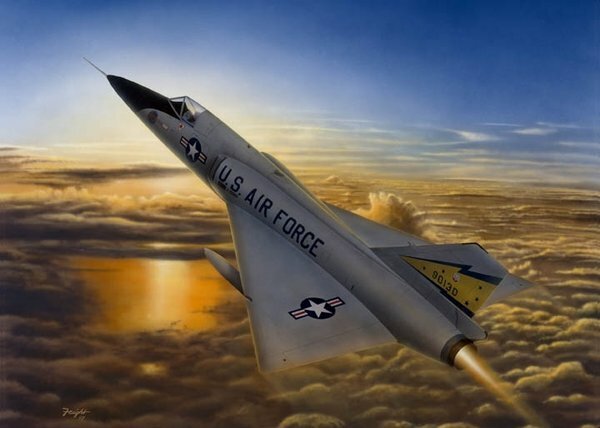 Introduced in the late 1950s, the F-106 was one of the fastest fighter aircraft in the world. It's job was simple: detect, identify, intercept and destroy Soviet bombers carrying atomic weapons to American cities. The Delta Darts flew long successful careers until the last were retired in 1988.